There aren’t many airlines nobody has flown—those don’t last very long. But quite a few lines—even big ones—are not well-known outside North America; some are known only in a small market. And some offer some interesting advantages and features. Here are our picks. Home Base and Hubs: Primary hub Seattle-Tacoma Airport, Seattle; secondary hubs at Portland (Oregon), Los Angeles, and San Jose. Market Area: Blankets the West Coast, Alaska to Mexico, plus Hawaii and 16 important destinations in the Midwest and on the East Coast. Alliances and Partners: No alliances, but has partnerships with 15 lines, including Air France/KLM, American Airlines, British Airways, Cathay Pacific Airlines, Delta Air Lines, Emirates, Korean Air, LAN Airlines, Qantas, and several smaller lines. What's Special: Bigger than you think: Alaska has outgrown its regional name and now resembles the late, lamented Western Airlines. It is the "smallest big line," operating hub-and-spoke schedules, two classes, and a full-featured frequent-flyer program. It generally earns good marks in traveler surveys for both performance and cabin service. Downside: Very poor frequent-flyer program for leisure travelers looking to escape the cattle car. Plus, mileage upgrades are limited to expensive coach tickets, and scoring low-mileage-level first-class seats is virtually impossible. Home Base and Hubs: Billy Bishop Toronto City Airport. Market Area: Large Canadian cities from Thunder Bay to St John's, plus six important business and vacation destinations in the eastern U.S.
What's Special: Almost all Porter Airlines flights operate to, from, and through Toronto's ultrafriendly, close-in lakefront airport on Toronto Island, just two miles from downtown. Also, its all-coach seating (34-inch pitch) and cabin service have earned it excellent marks in international traveler surveys, and it joins JetBlue Airways as the only North American lines with four-star Skytrax ratings. Downside: Porter operates entirely with turboprops—which many travelers dislike—and it can't provide preclearance for travelers headed for the U.S., at least not yet. Home Base and Hubs: No "hubs" in the big-line sense; bases in Bellingham, Ft. Lauderdale, Ft. Myers, Las Vegas, Los Angeles, Mesa/Phoenix, Myrtle Beach, Oakland, Sanford/Orlando, and St. Petersburg/Clearwater. Market Area: Flies out-and-back from base cities to dozens of smaller cities and outlying big-city airports throughout the U.S., including border airports catering to Canadians. What's Special: Allegiant provides the only low-fare, nonstop flights in mainline airplanes from small communities to 10 of the nation's most important visitor destinations. Although other start-up airlines have copied its business model, none have succeeded. Allegiant plans to offer similar service from small Western communities to Hawaii starting later this year or early next. Downside: Most routes operate only two or three times a week, often at inconvenient hours; Allegiant charges fees for almost everything beyond a seat, and the big online travel agencys and aggregator airfare search engines do not display its fares and schedules. Home Base and Hubs: Istanbul Ataturk Airport. Market Area: Flies nonstop from Chicago, Los Angeles, New York, Toronto, and Washington, D.C., to Istanbul, with connections to cities throughout Eastern Europe, the Middle East, Africa, and Asia. Alliances and Partners: Star Alliance, plus a few small regional lines. What's Special: Turkish Airlines earned the "Europe's best airline" moniker with Skytrax, and the ratings are generally high for all classes of service. It offers what is reported as a good business class, an above-average economy class, and an excellent new premium economy (but so far on only a few planes). Downside: From North America, Turkish Airlines serves destinations that are less popular than those to the west of Istanbul. Home Base and Hubs: Home base, Aeropuerto de Santiago; secondary hubs at Bogota, Buenos Aires, Guayaquil, and Lima. Market Area: Flies from Los Angeles, Miami, New York, and San Francisco to much of South America and from South America to Europe and across the South Pacific. Alliances and Partners: Oneworld alliance, plus Alaska, Aeromexico, and TAM Linhas Aereas. 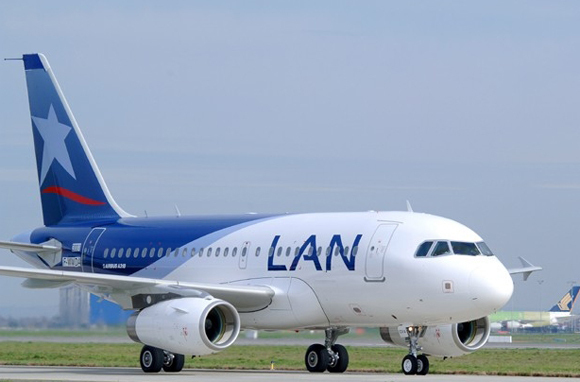 What's Special: One of the two largest South American lines, it operates as a group of five LAN companies based in Argentina, Chile, Colombia, Ecuador, and Peru and provides good coverage of western South America. And (in some planes) it offers a better economy class than the other giant South American line, TAM. Downside: None, if schedules and prices are right. Home Base and Hubs: Home base and primary hub, Sydney Airport; secondary hubs at Brisbane, Melbourne, and Perth. 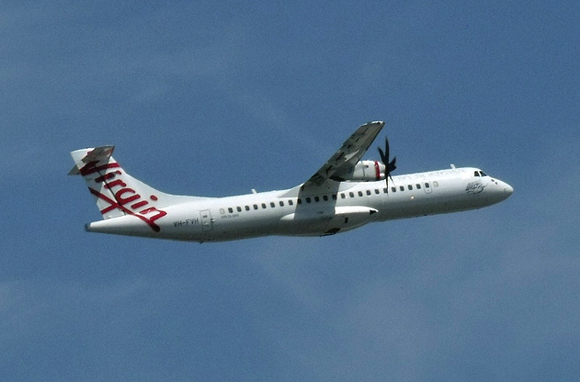 Market Area: Virgin Australia provides full cover of Australian domestic routes and flies nonstop from Los Angeles to Brisbane, Melbourne, and Sydney and from Honolulu to Sydney. Alliances and Partners: No alliance, but partners with Delta, Air New Zealand, Etihad, Hawaiian Airlines, Singapore Airlines, Virgin America, and Virgin Atlantic. What's Special: Virgin Australia recently combined formerly separate domestic and transpacific operations and now is eclipsing the fading star of Qantas in that part of the world. Its international economy product is fairly good, and it offers good premium-economy and business-class service. And, as with the rest of the worldwide Virgin group, nobody can beat Sir Richard Branson's particular brand of airline hype. Home Base and Hubs: London City Airport. Market Area: Flies from London City Airport to nearby destinations in the U.K. and Europe (as far as Dundee and Florence). Alliances and Partners: CityJet is a subsidiary of Air France-KLM, thus a member of the SkyTeam alliance and the Air France-KLM Flying Blue frequent-flyer program. What's Special: The watchword at CityJet is "quick." Quick airport access, quick check-in and security, quick on-and-off with small planes, and quick baggage delivery. CityJet operates the largest number of flights from close-in, user-friendly London City Airport. That field, in London's developing Docklands area, provides a welcome alternative to the hassles and crowding at Heathrow and the taxi-unfriendly extreme distances of Gatwick and Stansted. London's Docklands Light Railway operates directly to the terminal. In effect, it's London's counterpart to Toronto's lakefront airport. Downside: One-class economy seating in Avro and Fokker planes is cramped. Pricing is keyed more to business travelers than to tourists. Its "CityPlus" isn't a true premium economy; it's mainly a more flexible fare with seating in front rows. Home Base and Hubs: Keflavik International Airport, about 30 miles from Reykjavik. Market Area: Gateways in Boston, Denver, Halifax, Minneapolis, New York (JFK), Sanford/Orlando, Seattle-Tacoma, Toronto, and Washington, D.C., and services 22 airports in 14 European countries via Keflavik hub stops/connections. Many routes are seasonal. Alliances and Partners: No alliance; partners with Alaska, Finnair, JetBlue, and SAS Scandinavian Airlines. What's Special: Icelandair offers no-charge stopovers in Iceland on North America/Europe through tickets, plus optional hotel and sightseeing packages. Icelandair (then Loftleidir) originally became important in the pre-deregulation era when it flew from the U.S. to Luxembourg at fares that undercut the regulated big-line fares. The line—with its stopover—became known as the "backpackers' airline" because its low fares attracted so many wandering young people. Since then, its key appeal is the ability of passengers on any ticket to visit one of the world's unique and fascinating destinations for no extra airfare. Downside: Iceland is an expensive destination; Icelandair's product is unexceptional. Home Base and Hubs: Taiwan Taoyuan International Airport (formerly Chiang Kai-shek Airport), Taipei. Market Area: Flies from Los Angeles, New York, San Francisco, Seattle, Toronto, and Vancouver to Taipei with connections to multiple destinations in Asia and Oceania. Alliances and Partners: In the process of joining Star Alliance. What's Special: EVA Airways pioneered the concept of premium economy, and its version is still one of the best and the one with the least markup over regular economy. 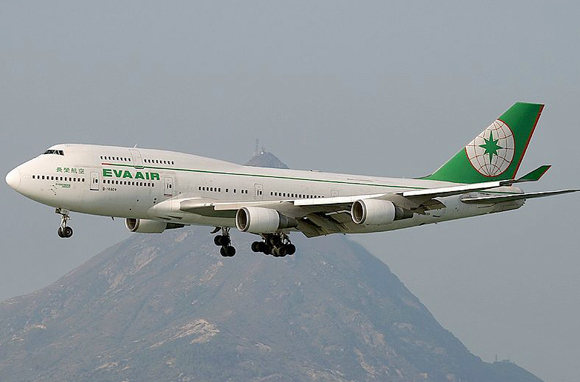 EVA's regular economy is also among the best across the Pacific, and business class is competitive. For connecting travelers, EVA's affiliate, Evergreen Hotels, at Taipei operates one of the world's few full-service, inside-security airport hotels. Home Base and Hubs: Incheon International Airport, Seoul. Market Area: Flies from Chicago, Los Angeles, New York, San Francisco, and Seattle to Seoul, with connections to many destinations throughout Asia and Oceania. Alliances and Partners: Star Alliance, plus partners Etihad Airways and Qatar. What's Special: Over the years, big Asian and Middle Eastern airlines—Asiana, Cathay Pacific, Qatar, and Singapore Airlines, in varying order—dominate top ratings in worldwide traveler surveys. Although those surveys are heavily biased toward business class, these lines also score well for economy. We chose Asiana because it has the best economy product (per Skytrax) of the bunch and flies to more North American cities than the others. 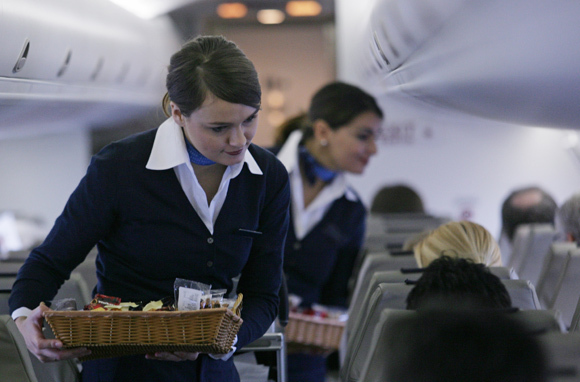 But you won't go wrong with any of them; all get especially high marks for cabin service. Downside: None, if the schedules and prices are right.